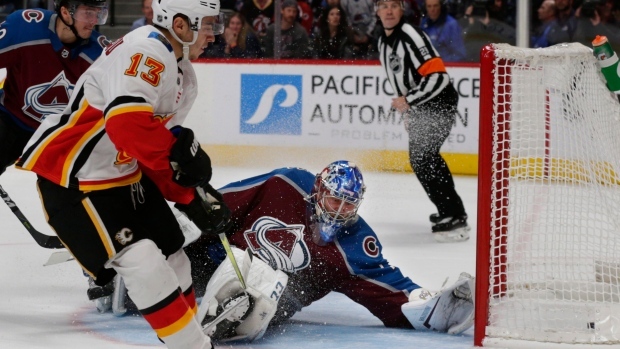 Colorado, which led 2-0 after the first period, couldn't stop Gaudreau on a breakaway. He got behind the Avalanche defense and knocked home the game-winner from up close. J.T. Compher capitalized on a Calgary turnover to score Colorado's second goal at 2:40 of the first. Defenseman T.J. Brodie lost a puck in the Calgary zone when it bounced over his stick and Compher swept in to carry the puck down the ice before knocking it into the net up high for the score. NOTES: Calgary's Garnet Hathaway played in his 100th career game. ... MacKinnon has scored a goal in five consecutive games, matching his longest career goal scoring streak.